Introduction to Person Centred Planning | Social Care day course. Learn new approaches in relation to creating, designing and progressing individualised services in Ireland today. This course provides new material based on international best practice and quality which influence how services are delivered within the wider non-profit/human services setting. This workshop is a must for key decision makers and Social Care professionals. The nature and characteristics of individualised service provision and the ethical issues associated with such services and supports within the wider policy context. Ways in which to plan for an individualised service using the principles of Social Role Valorisation and the Discovery Process. The concept of person centred planning, its relationship to individualised service design and the resources needed to support this initiative. Innovative and creative ways to promote and progress the delivery of individual and person centred service provision at an organisational level. Students will be asked to engage with cutting edge information and content and also partake in large/small group sessions during the day. This is an information event which holds 6 CPD points and participants will receive a ‘Certificate of Completion’ from the OTC for inclusion in the student’s CPD portfolio. The certificate will also include the list of learning outcomes upon which the workshop is based. For those participants who already possess a level 7 Social Care qualification, there is an opportunity to continue your studies in this area beyond the workshop event. You can avail of the assessment option which is validated by QQI and is worth 10 credits at Level 8 (NFQ). 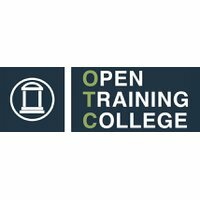 The assignment will be written over a number of weeks where you will receive significant student supports from the OTC team that will include telephone/email/online tutorials with your assigned tutor in order to guide you through the course content. You will engage in the online supports in your own time in order to enhance your understanding of the topic and help support your successful assignment submission after a number of weeks. This accredited option is open to those who have already attended the workshop and carries an additional cost of €275. Entry Requirements This is an information event which holds 6 CPD points and participants will receive a 'Certificate of Completion' from the OTC for inclusion in the student's CPD portfolio. The certificate will also include the list of learning outcomes upon which the workshop is based. Career Path For those participants who already possess a level 7 Social Care qualification, there is an opportunity to continue your studies in this area beyond the workshop event. You can avail of the assessment option which is validated by QQI and is worth 10 credits at Level 8 (NFQ). The assignment will be written over a number of weeks where you will receive significant student supports from the OTC team that will include telephone/email/online tutorials with your assigned tutor in order to guide you through the course content. You will engage in the online supports in your own time in order to enhance your understanding of the topic and help support your successful assignment submission after a number of weeks. 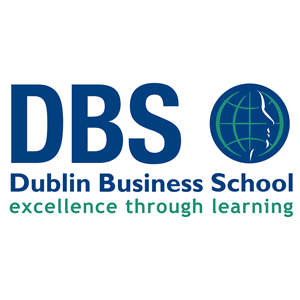 This accredited option is open to those who have already attended the workshop and carries an additional cost of €275. 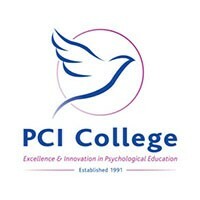 For information about Open Training College, please visit our college page on www.nightcourses.com by clicking here.